SO there is something to suit nearly every budget. You can book accommodation nearby Marmara University and Üsküdar region. a) You can use a taxi from airport to hotel. But taxi can be expensive. The airport is not very close to your destination. b) You can use the bus, number is E11 from Sabiha Gökçen Airport to Kadıköy. or the bus named 14 C and get off the bus Validebağ Stop. 2.  Arriving from Sabiha Gökçen Airport to Marmara University, Faculty of Theology, where the conference will be held. And you must get off the bus at İLAHİYAT FAKÜLTESİ Stop. Take the M1A Airport-Yenikapi Metro line from Atatürk Airport and get off the metro at Yenikapi Station and use Marmaray Metro Line. After getting on the Marmaray line from Yenikapi, get off the metro at Üsküdar destination and you must use Üsküdar Square Exit. Or you can use the bus 11T or 12C and get off the bus Adile Sultan Kasrı Stop. Take the M1A Airport-Yenikapi Metro line from Atatürk Airport and get off the metro at Yenikapi destination and use Marmaray Metro Line. After getting on the Marmaray line from Yenikapi, get off the metro at Üsküdar Stop and use Üsküdar Square exit. You can use the bus 11P or 12A or 9A or 11V and you must get off the bus at İLAHİYAT FAKÜLTESİ Stop.